Price Stern Sloan, 9780843199192, 12pp. 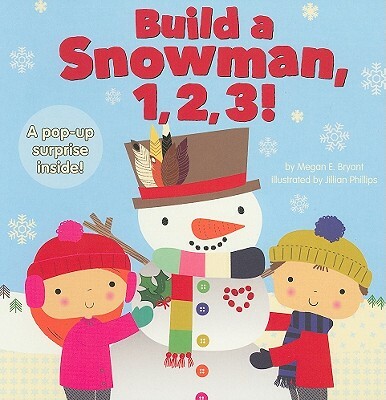 One snowy morning, Max and Ella set out on a counting adventure to make the coolest snowman ever. It all begins with one carrot nose and two branches for arms. They search high and low until their snowman is complete with a pop-up surprise at the end. Megan Bryant lives in Winston-Salem, North Carolina. Jillian Phillips lives in Brighton, England.